Ooooh, ahhhhh . . . those are the words that will escape your lips as you breathe in the fresh, minty scent of our newest whipped body butter. 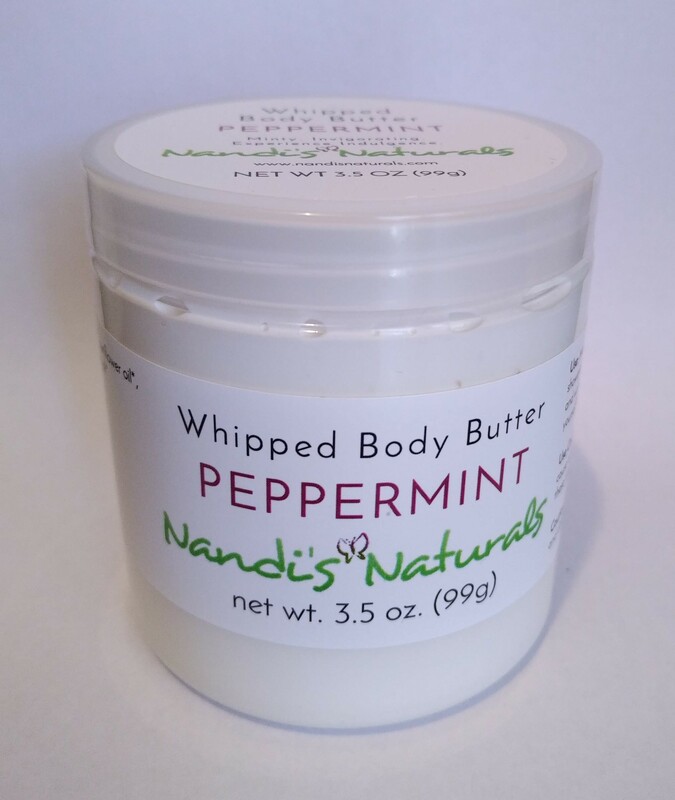 The ooh’s and ahh’s only increase once you massage Nandi’s Naturals Peppermint Whipped Body Butter into your skin. The wonder treatment for tired, achy feet, this light, creamy butter, reminiscent of frosting, melts on contact and is quickly absorbed. Our whipped Peppermint body butter is the perfect complement to our peppermint-scented solid lotion sticks and body bars. Our non-greasy, quick-absorbing butters are perfect for hands, feet, elbows, scalp—the whole body. Let the organic oils go to work to soothe and calm as the mango and cocoa butters help form a protective, moisturizing layer. Massage all over body as needed, especially right after showering or bathing while skin is still slightly damp. 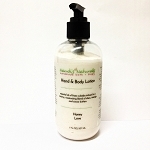 Work into elbows and other dry areas to soften, soothe and condition thirsty skin. Our buttery, light formula melts on contact and works great as a scalp moisturizer, foot and heel softener or light facial cream. I loooooove Nandi’s body butters. 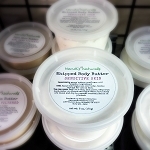 I thought I was in love with the body bar, but the whipped butter surprised me even more. I first tried it after my first postpartum shower and it soothed all my aches. It’s so fluffy, and absorbs into the skin so well. One of my children despises lotion because it leaves her feeling greasy and she feels like she’s a magnet for dirt and lint. Not with whipped body butter, it goes on and absorbs in. No ash, which makes mommy a happy camper; and no grease, which satisfies my daughter. And the peppermint flavor is so invigorating. I wash with Dr. Bronners peppermint soap then follow up with peppermint whipped butter and feel ready to take on the day. Just purchased the Peppermint Body Butter, mainly to use on my hands and feet. It absorbs well into the skin and is not greasy. After travelling 4000 miles from Atlanta to the UK, you can imagine how tired my feet were. After using this it made my feet feel refreshed and soothed. Thank you Nandi for brilliant customer service and products. Will definitely use again. This whipped butter is wonderful and so soothing. Its cooling effect is perfect for taking on the humidity of summer, and your feet will love it.